How often do you rest? I don't mean how often do you sleep. I hope you are able to sleep every night. If you're still in the up at night phase of momma-hood, hang tight sweet girl. Your day will come. Personally, I never thought Bman would sleep through the night. I'd say we're up to to five nights a week that he's sleeping straight through. The other two nights he's learned to crawl in with us and not wake either of us up. For me the hardest part of rest is ceasing movement. I am almost always moving. If I stop moving, I fall asleep. Really the closest I come is when I settle in to read. There are just not that many nights that I am sitting in front of the TV vegging out. "What am I forgetting to do?" "Maybe I should start on XYZ?" "There are dishes in the sink. I need to get those done before momma comes over tomorrow so she wouldn't feel like she needs to do them"
It's like I wouldn't let myself rest without guilt. And that's not ok. I'm tired. I need to rest. I have always loved the promise in Matthew 11:28-30. 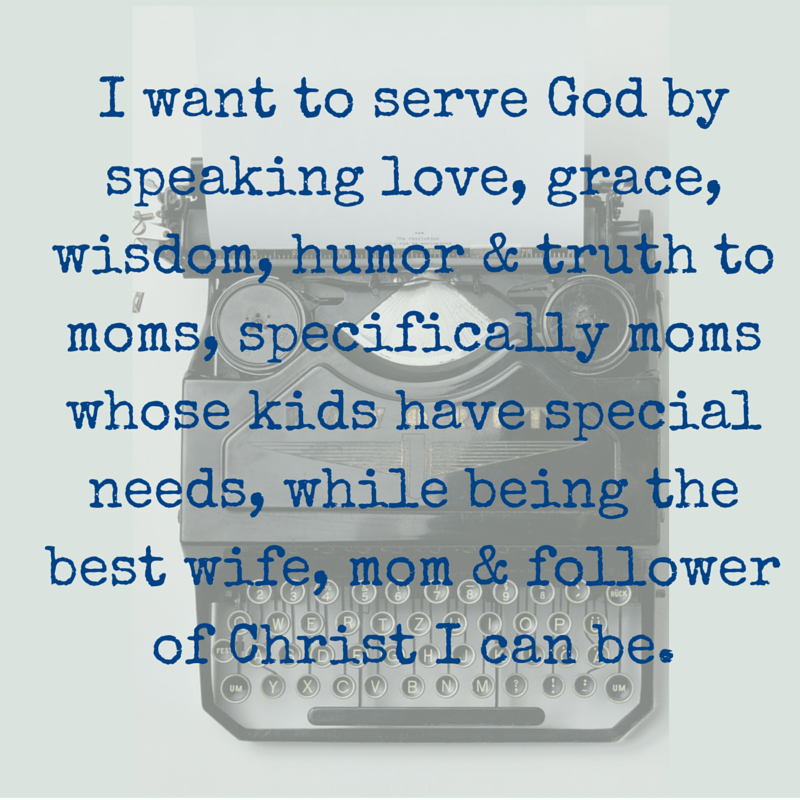 I have a silver yoke necklace to remind me of this verse. A yoke was used to bind two animals together so they could plow. I love the idea of taking on the LORD's yoke, being bound to Jesus in all that I do. But I've only recently started thinking about taking off my yoke to take on Jesus'. 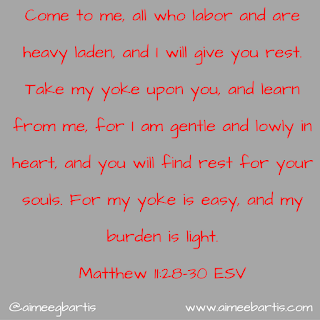 In order to take on Jesus' yoke, I have to take mine off. And there it is again, my desire to control everything. If I give my problems to God, what will I have left to try to control? Nothing! That's the point. God is in control. He's good at being God, I am not. 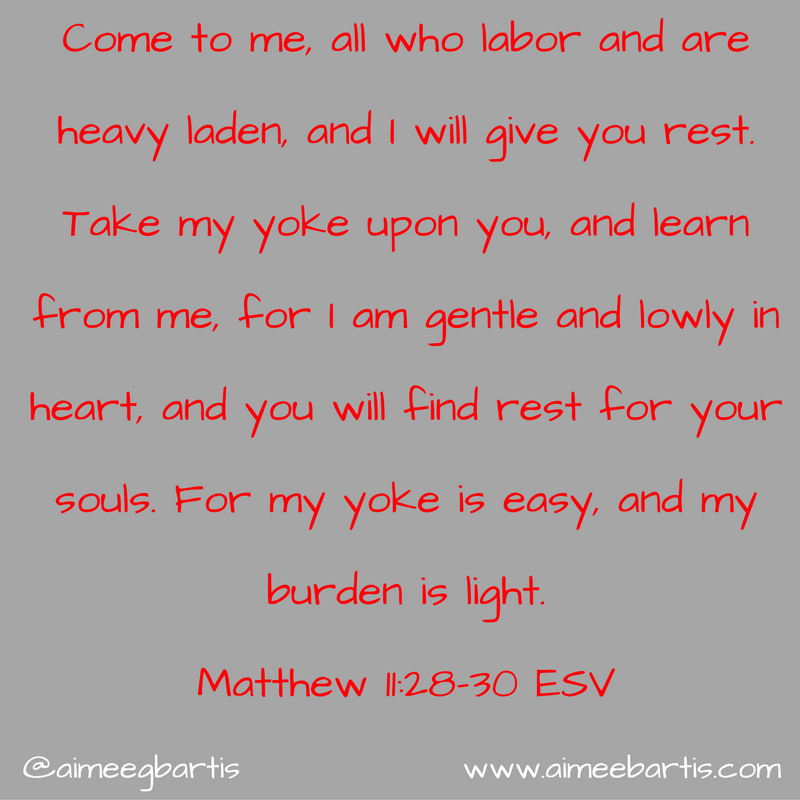 When I take on Jesus' yoke, I can rest.